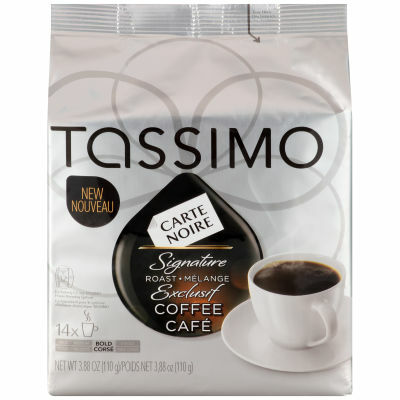 Tassimo Carte Noire Signature Roast CoffeeFresh and seductive, with its luxurious, intense flavor, Carte Noire has become the most desired coffee in many of coffees. Tassimo T Disc is specially designed for Tassimo brewing machine explore guaranteed perfect cup.Luxuries and IrresistibleSparkle your day and spread a love by sharing this irresistible and consistent aromatic coffee. Carte Noire is the perfect blend and all time favorite coffee for everyone, an ideal blends of beans carried out that savour and enticing flavor you are loved. Serving size 1 pack (48g).